With kids in the house the questions like, “what are you going to make? Can you make something different? We don’t want to eat this. Can you make something tasty?” become regularly heard of. Whatever we make, how many new recipes we try, kids easily get bored of them and want something “different”. I always keep trying new recipes with healthy ingredients and with kids, it is important that the food should look good and be tasty too. Dr. Oetker FunFoods comes to my rescue in situation like these when my kids suddenly refuse to eat what has already been prepared. 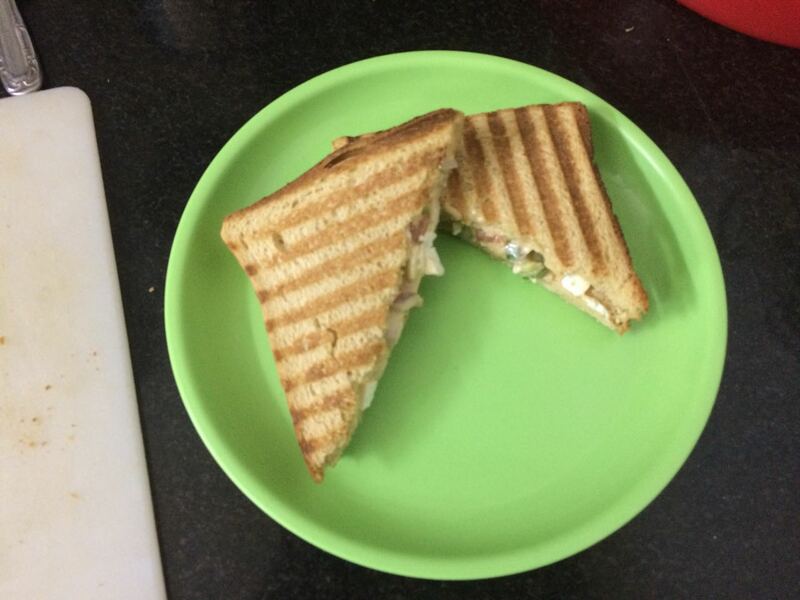 Grilled sandwich is very easy to make and the best part is that we can use a lot of vegetables in it and kids like it very much. Take some mayonnaise in a bowl. Mix chopped onion, chopped bell peppers in it. Add salt, chaat masala and oregano in it. 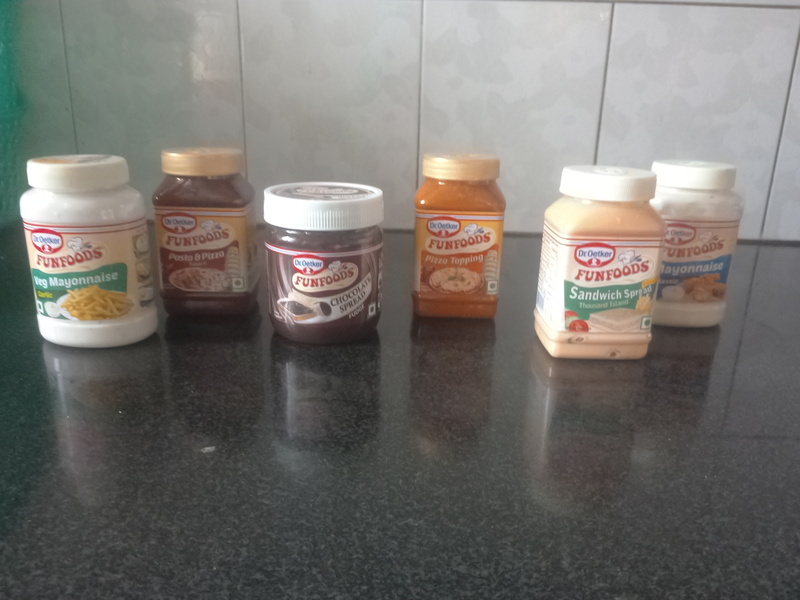 Spread this mixture on a slice of bread. Put another bread slice over it. Apply butter on top of the bread slice. Put the sandwich in the grilled sandwich maker for a few minutes. Cut it into halves and the sandwich is ready to serve. 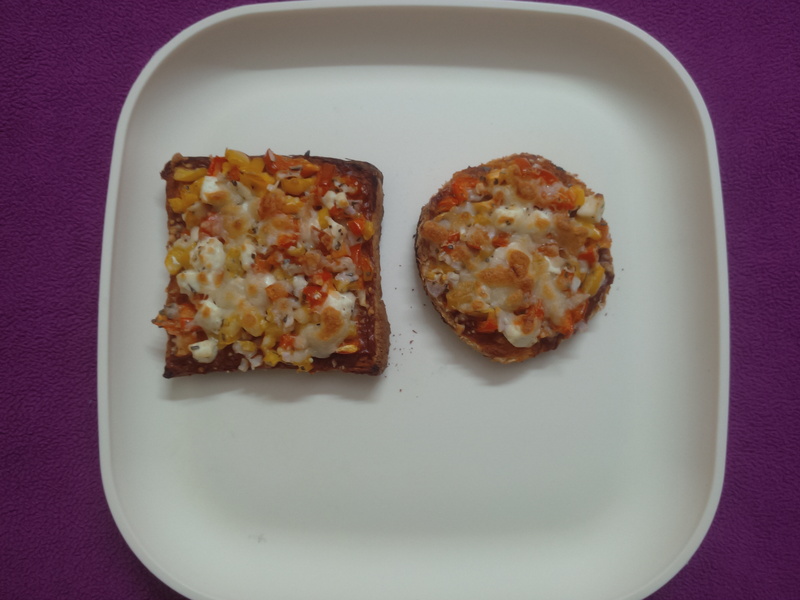 I find homemade bread pizza much better and healthy. They can be made very quickly any time and the finely chopped vegetables find a way in the little tummies very easily. My kids love it and eat all the vegetables that I put in it. Mix chopped onion, chopped bell peppers and paneer in a bowl. Put salt and oregano. Take bread slices. Spread Dr. Oetker FunFoods Pizza topping evenly on the surface of the bread. Spread the vegetable mixture on the slice of bread. Sprinkle finely grated cheese over it. Pre heat the oven. Put the bread pizza in the oven in for ten minutes. Bread pizza is ready to eat. Kids love to eat desserts. Chocolate layered cake is extremely easy and fun to make with the help of Dr. Oetker FunFoods Vanilla Cake mix and Dr. Oetker FunFoods Chocolate Spread. My daughter loves to help me make. The best part is the fun that we have in the kitchen while making and baking our cake. 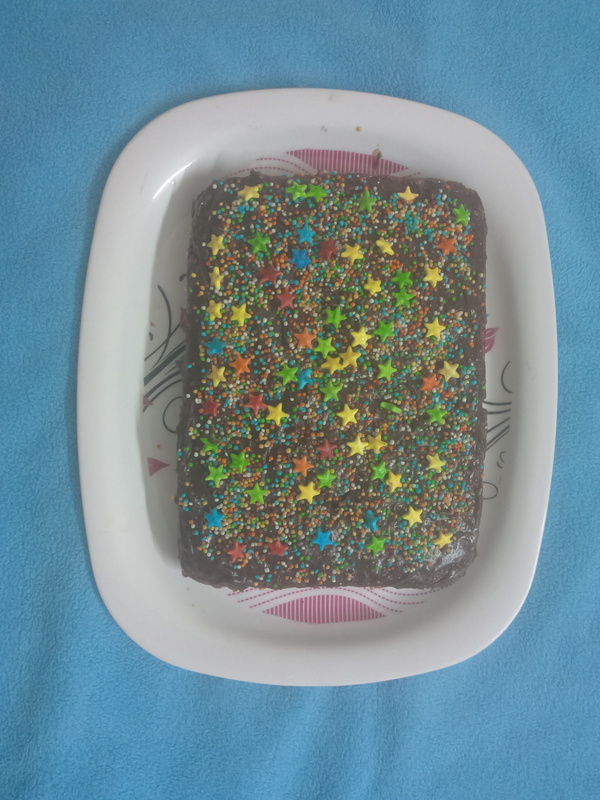 Make the cake according to the method given on the pack of the cake mix. Dr. Oetker FunFoods cake turns out to be wonderfully spongy. Very carefully slice the cake horizontally from the middle. You will now have two equal slices of the cake. Spread chocolate spread evenly on top of one slice. Put the other slice over it. Spread the chocolate spread once again over the top of the cake. Put Cake sprinklers and keep it in the refrigerator. I am sure you will have a lot of fun in cooking these fun recipes. Do share your views and other fun recipes that you love to cook for your little ones.